Posted on July 30, 2010 at 9:00 am. From our Red Market walk with Antonio Coelho, our coach drove to the eastern side of Macau Peninsula for Guia Hill, whose peak is the highest point in Macau. It was a short drive but we had to leave our coach and take a cable car up the hill. From the hill we still had a few minutes light hike. It was midday but the overcast sky was our friend. We passed by a few joggers and people doing some martial arts sparring along the way before we reached the foot of the Guia Fortress, one of the 25 UNESCO sites under Macau’s Historic Center. We entered this narrow tunnel but high enough as not to stoop. It was cooler inside especially with the soft breeze running through the tunnel. Some pipes running along the tunnel had minor leaks making some of the pathway damp. 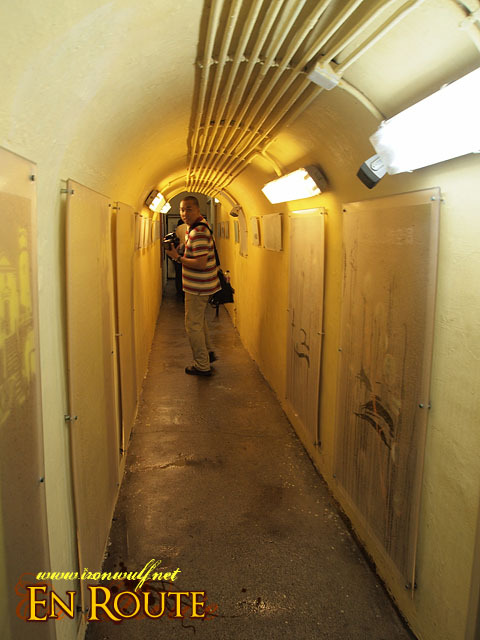 There were framed photos along the short tunnel and a small room which serves as the soldier’s pantry at that time. Emerging from the tunnel and back to the humid open mid-air yet breezy outdoors, we took the stairs to find this small charming chapel alongside this nice looking lighthouse. 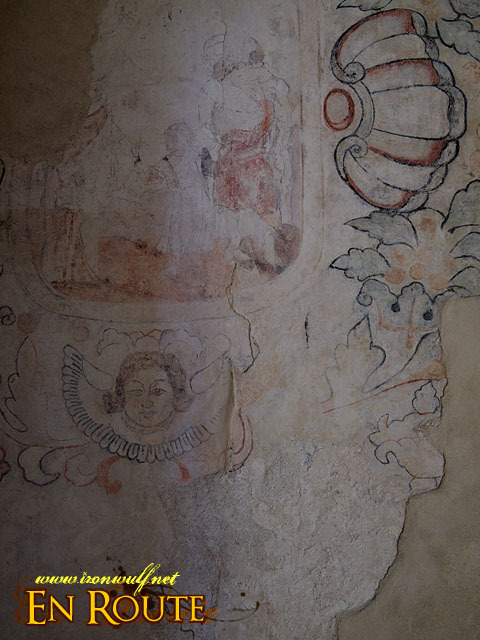 The Guia Chapel (Capela de Nossa Senhora da Guia ) is very old, dating back to 1637, built in dedication to Our Lady of Snow. I could clearly see the mixed influence in the architecture here. Despite the western structure design, the red roof tiles are of Chinese design. 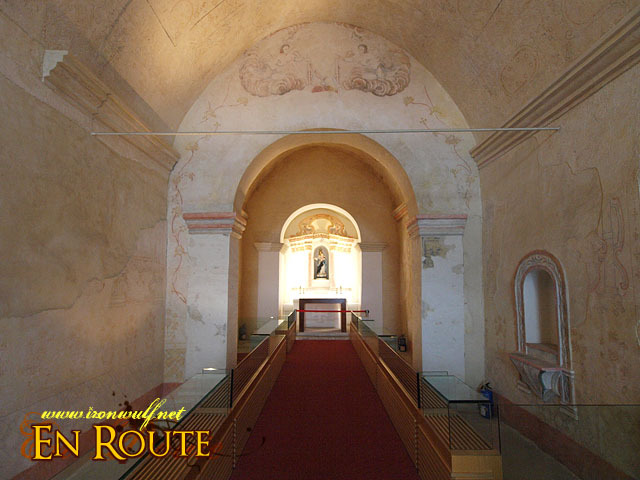 Inside, the cool airconditioned chapel turned museum, the frescoes dating as far back as 300 years, depicts an oriental style despite the western themes. 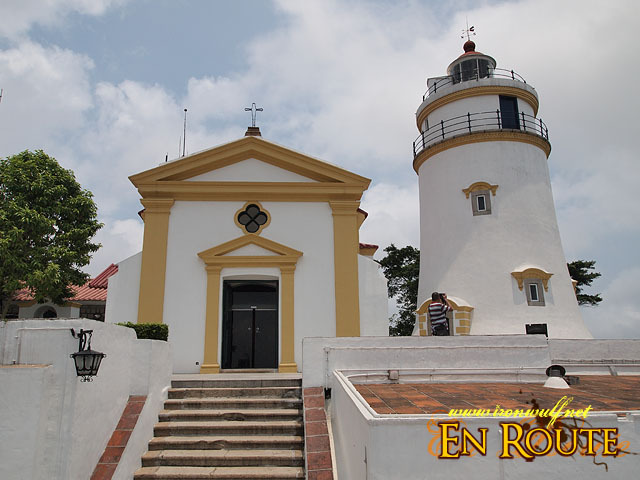 The Guia Lighthouse beside the chapel is the oldest lighthouse in the coast of China constructed in 1865. 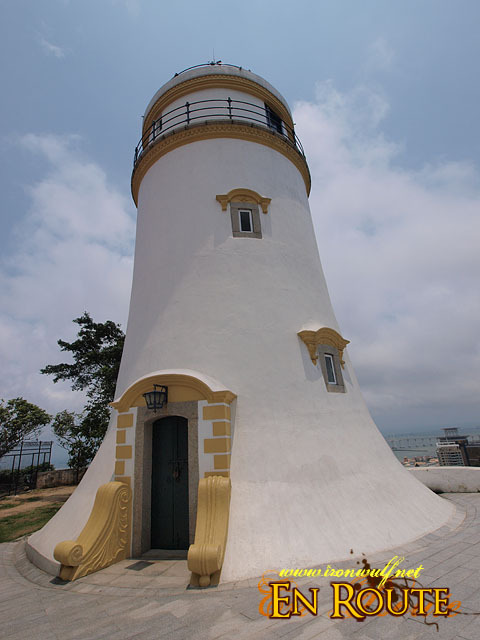 This is also the first modern lighthouse on the coast designed by Macau-born Portuguese Carlos Vicente da Rocha. Paraffin was used as light and ropes on a wheel were used to rotate the lantern. A major storm damaged the lighthouse in 1874 and took 30 years to repair the damage, adding mirrors and reflectors. It has been fully operational since its full repair in 29th of June 1910. It was a very interesting site with commanding views of Macau, a perfect fortress and also watchtower for incoming ships and pirates at that time. We went down the same way and visited the nearby Macau Grand Prix Museum and its adjoining Wine Museum. Macau is very big on the Formula 3 Grand Prix every year. 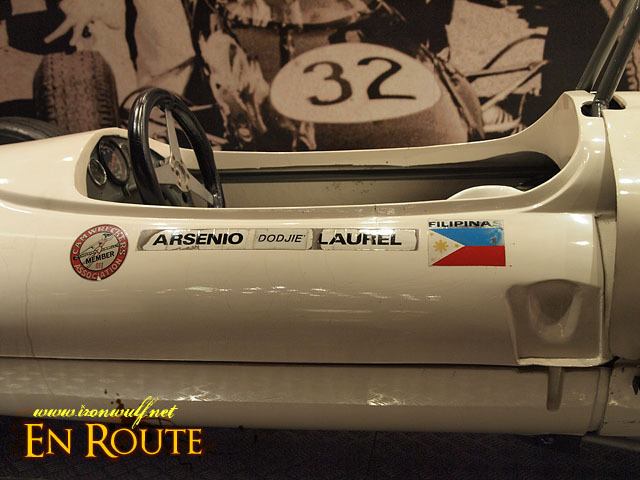 On one corner of the museum, you’ll find a space for the famous Filipino race car champion Arsenio “Dodjie” Laurel. He’s the first consecutive two-time champion of Macau Grand Prix 1962 and 1963. Laurel unfortunately died on the same tracks he was famous for in 1967 at the age of 35. Witnesses narrated that his car Lotus 42 skidded out of control and he chose to drive to the sea wall instead of hitting the spectators. He was also the first casualty of the Macau Grand Prix. Don’t miss Backpack Photography’s Explore Lake Sebu Photo Tour. A Journey into the T’boli culture and Lake Sebu’s natural wonders. Join us on August 21-23, 2010. Check Backpackphotography.net for full details and registration. i like the tower’s base. it’s not the usual.